Do you also feel like dancing? But are you not entirely certain whether dancing is something for you because of your (physical) disability? Sign up for the DanceAble lessons of Holland Dance Festival! 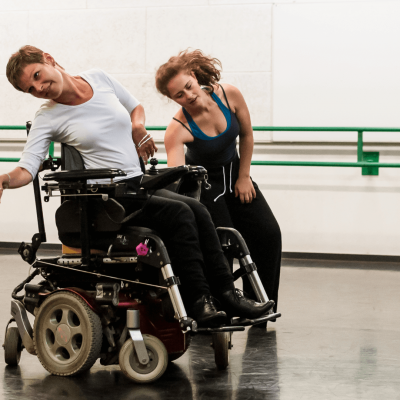 These lessons are suitable for anyone with or without a (physical) disability. The lessons are given by professional dance teachers of Holland Dance Festival. Through various dance excercises and choreographies you get acquainted with modern dance and you’ll discover the versatility of dance. Our teachers take into account the different possibilities of all participants, so that everyone can get the most out of the lessons. Besides discovering dance, having fun is one of the most important aspects of the lessons! When you sign up for two or more courses at the same time, you will receive a 5,5% discount. 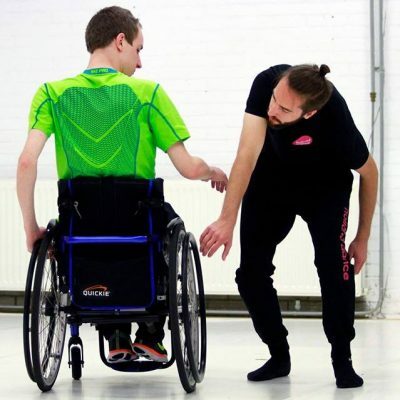 Note: This year the KunstenHuis in De Bilt once again organises two inclusive dance courses in cooperation with Holland Dance Festival. Classes are taught by Eva Uppenkamp, dancer and professional dance therapist. The courses start in May and September and take place on Saturday afternoon. The exact times, dates and costs can be found on the website of the Kunstenhuis. Do you want to stay informed of the latest news and all activities related to the inclusion dance program of Holland Dance Festival? Sign up for the DanceAble newsletter!